Attorney General Jeff Sessions on Monday ordered Justice Department officials to review reform agreements that are in place with police departments across the country that have been found to have problems with their policing methods, saying the reviews are necessary to ensure the agreements don’t run counter to the Trump administration’s goal of promoting officer safety and morale while fighting violent crime. Sessions said in a two-page memo that agreements reached previously between the department’s Civil Rights Division and local police departments will be subject to review by his top two deputies, the Washington Post reports. This, of course, raises the question of whether the agreements, which were a legacy of the Obama administration, will even stay in place. Sessions released the memo not long before Justice Department civil rights lawyers asked a federal judge to postpone a hearing on a sweeping reform agreement, known as a consent decree, with the Baltimore Police Department, an agreement that was announced just days before Donald Trump took office. As the Post notes, Sessions has frequently criticized the effectiveness of consent decrees, and he has made no secret of his intent to more strongly support law enforcement. Since 2009, the Justice Department opened 25 investigations into law-enforcement agencies and has been enforcing 14 consent decrees, along with some other agreements. 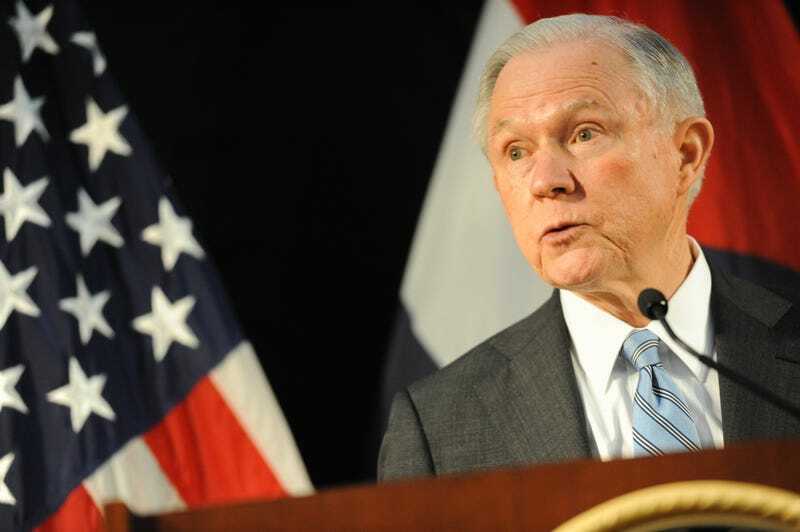 Civil rights advocates fear that Sessions’ memo could particularly imperil the status of agreements that have yet to be finalized, such as a pending agreement with the Chicago Police Department. As previously reported on The Root, the Justice Department and the city of Baltimore announced in January that they had reached an agreement on a court-enforceable consent decree that would bring sweeping reforms to the Baltimore Police Department. The agreement called for, among other things, a community oversight task force, improved community policing and community engagement, and an independent federal monitor to observe the department. The decree followed a lengthy investigation by the Justice Department, partially in response to the 2015 arrest and death of Freddie Gray and the subsequent civil unrest in Baltimore. A 163-page findings report released by the DOJ in August said that the BPD had engaged in unconstitutional and discriminatory policing practices for years, many of which disproportionately affected residents in poor, predominantly black neighborhoods. In lieu of an immediate lawsuit to resolve the problems, the Justice Department agreed to negotiate with the city and reach a consent decree. The agreement was awaiting approval by a U.S. district court judge before it became binding, and according to the Post, U.S. District Judge James K. Bredar had scheduled that hearing for Thursday. What Sessions is doing is giving these departments a pass on their bad behavior and a possible opening to continue that bad behavior unchecked. It doesn’t matter that these investigations happened under a different administration; the work and integrity of a Justice Department investigation should be enough for Sessions to leave the consent decrees in place as a protection for U.S. citizens. That he sees the need to review them leads to the belief that he may be looking to change them and perhaps opt out of some of the requirements that would hold departments accountable and to a standard when conducting police work. But then again, this is the same Jeff Sessions who said he was going to continue to use private prisons, too, and how else will he be able to keep those profit machines full of prisoners without the help of cops who are no longer required to follow the rules when it comes to policing? This is an administration that has told us over and over again that it is putting the police above everyone else. It’s probably time we start believing them.